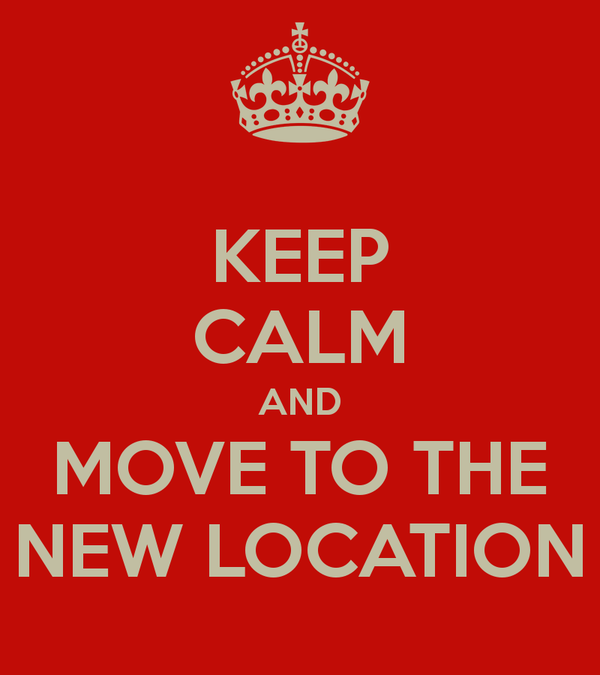 Marketing attributes on the move! Marketing attributes are a flexible way to enrich customer data with information which is not a part of the master data or transactional data. The information in the marketing attributes can be used to create customer profiles and to segment customers to target them for marketing purposes. Marketing attributes are grouped in attribute sets. In this blog we assume that you are already familiar with setting up marketing attributes and attribute sets but you run into an issue when you want to reorganize your existing attributes in other attribute sets. Once a marketing attribute is in use it’s not that easy to move a marketing attribute from one attribute set to another attribute set. But no worries there is a solution. Let’s assume that I want to move marketing attribute Z_EVENTS from the attribute set Z_BP_COMMUNICAT to the attribute set Z_BP_MAILINGS. To be on the safe side you should make an export of the business partners and values that are currently assigned to our attribute Z_EVENTS before executing the migration. This way you can check if the conversion is done correctly after running the program. You can do this via a selection on table AUSP. 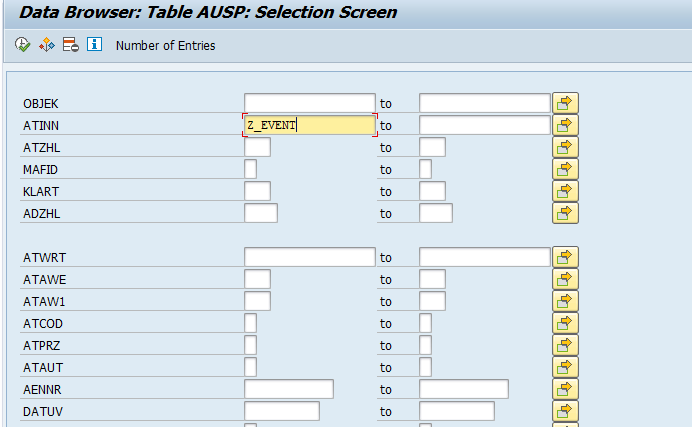 Open table AUSP via transaction SE16 and enter the attribute in field ATINN. Press F8 (Execute) and you get a list of the business partner GUIDS and values that are assigned for attribute Z_EVENTS. You can export this list to a local file. By using the BP GUID in table BUT000 you can get the BP ID’s. Step 2. Move attribute to another attribute set. Now go to the Marketing – Expert Tools (Transaction CRMD_MKT_TOOLS) and select the option to move attributes to another attribute set. This program is based on a Target Group in the Segment Builder. I suppose you already know how to create a target group so I won’t go into that. The program will select all the values of Attribute Z_EVENTS for the members of the selected target group and move the values to the new attribute set. Before you do the actual migration it’s good to make a target group with a small subset of the customers to do a test run of the program. 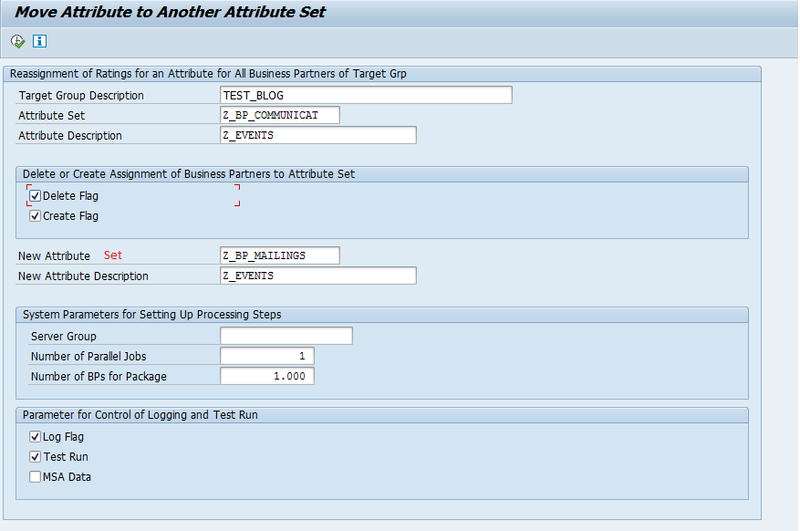 Enter the name of target group, the old Attribute Set and Attribute. The ‘Delete Flag’ will remove the assignment of the attribute from the old attribute set for the members of the target group. 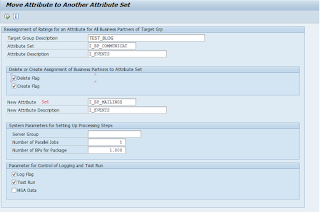 The ‘Create Flag’ will assign the attribute set (if not already assigned) and attribute for the members of target group. In the field ‘New Attribute’ you enter the name of the new Attribute Set and in ‘New Attribute Description’ you enter the name of the attribute. Via the System Parameters you have the option to create parallel jobs to optimize the performance in case of large numbers but my experience is that the program is very fast so I use the default settings. Before doing the actual conversion I advise to do a run with the flag ‘Test Run’. In the Test Run you see the logging but no actual update is performed. If the test run does not show any errors you can perform the actual conversion (F8 Execute). 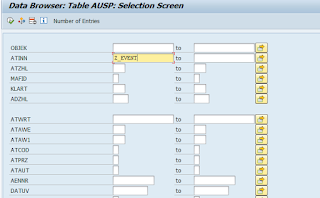 When the migration is finished you can compare the outcome with the export from table AUSP that you created in step 1. Step 3. Remove the attribute from the old attribute set. 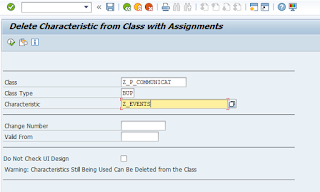 Now the assignment of the attribute is moved to the new attribute set for all target group members but the attribute itself is still available for users within the old attribute set. When you want to remove the assignment of the attribute to the old attribute set you will get the message: “You cannot delete an attribute from the attribute set in the dialog”. So how do you do that? 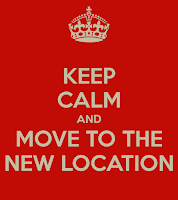 You can do this via program RMCLMDEL in transaction SE38. 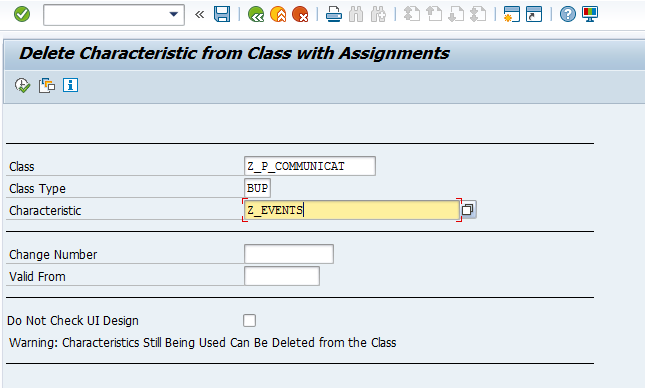 Enter the name of attribute set in field Class with Class type BUP and fill the field Characteristic with the Attribute name as in the example below. Run the program in the background and the attribute is no longer available in the old attribute set.